Many of modeling projects, such as my Chaos Death Guard army and a pre-heresy army, have been put on hold since I’ve decided to participate in Coastal Assault this year. 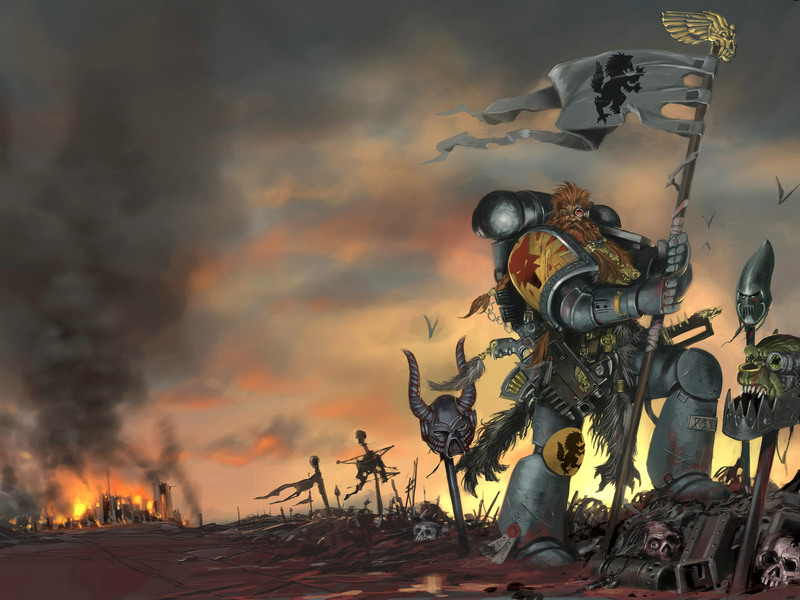 All my “online” projects and such will continue, so you’ll still get weekly updates on the Horus Heresy tactics, and Battle Reports as I finish them (I a couple weeks behind on those). 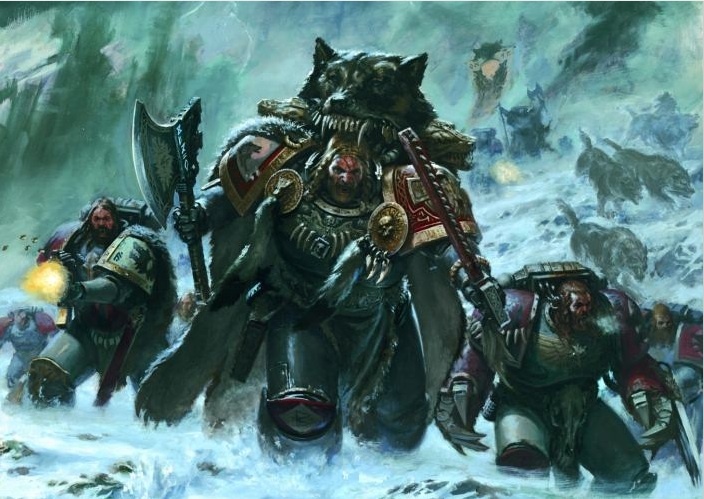 I mentioned earlier in my Space Wolves Tournament List post. It’s only three months away, and I want to make sure I have a completed army, which is why I’ve put everything else on hold until then. I spent most of today going over what all Space Wolves I had, and what I would need. After this weekends play test of my previously posted list, I’ve gone back and begun to make changes. The sad thing is that I haven’t fully nailed down a final list. 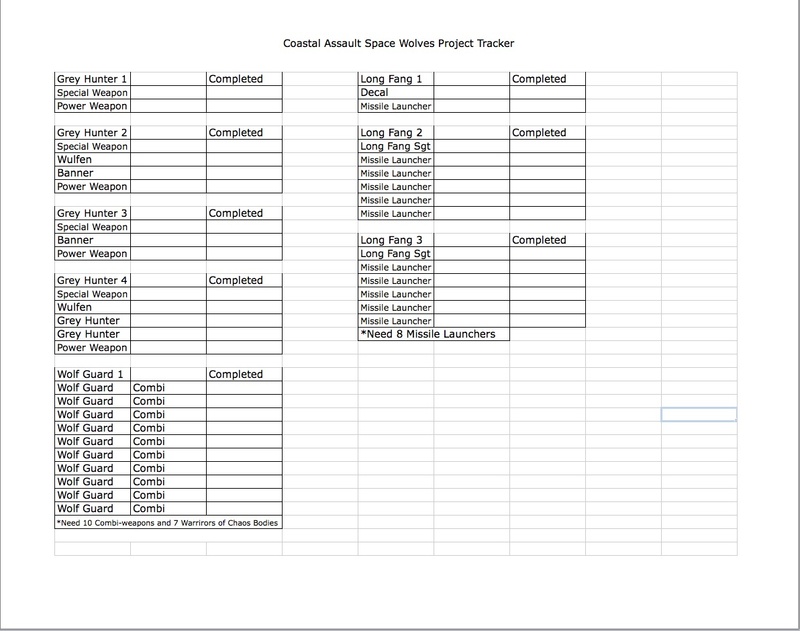 However, what I am certain to take and what has become the core of the more recent lists I’ve made has been compiled into a nice little Excel sheet. There’s not too much to do, and I’m certain I can get it all done in three months. I just need to decide on the other elements that I’m going to take so I can add them to the check list. Even the stuff that I don’t know yet about taking won’t be much and won’t take much longer to complete. The only things I’m stuck on whether or not to take are Land Speeders, Bikers, Lone Wolves, another Rune Priest, or just take some more Wolf Guard. I’ll probably post the various lists that I’ve come up with on the forums and here. Until then, I would love to hear any suggestions, and I’ll keep things updated as I complete things.